We found 1 result for nursing homes in Nome, Alaska. 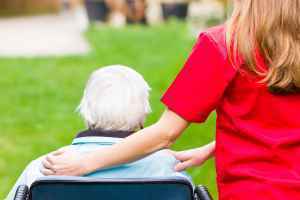 The mean daily cost for nursing home care in Alaska is about $650, with costs running between $515 and $670 daily. On a monthly basis, this equates to an average expense of $19,500, with costs ranging from about $15,450 to $20,100. The mean yearly cost is $237,250, which is greater than the nationwide average of $77,380. Located within Nome Census Area, Nome is a small city in the State of Alaska. The encompassing statistical area has 553,665 residents, but there are only 4,038 living inside the city itself. Those who are 55 and over represent 18% of the community. The SeniorScore™ for Nome is 48. The city has an average per capita income of $33,000 and an average household income is $69,000 (the Alaska state average is $48,000). The median housing price in Nome is $283,500, which is higher than the Alaska average of $219,000. The city also has a high unemployment rate of about 9.48%. Nome has extreme average temperatures, with severely cold winters and calm summers. The city receives ideal amounts of precipitation annually. In comparison to other American cities, Nome has a very high rate of crime. To see information on the SeniorScore™ for Nome, AK, please visit senioradvice.com/seniorscore/senior-living-in-nome-ak.